Like that Justin Timberlake, vodka's good at many things. It's truly a spirit of versatility, one whose mostly neutral flavor and soft texture are perfect for high-end cocktails and ridiculous college party garbage-can punches. And unlike JT, it would never ask you to sit through a Trolls movie. For a while, American drinkers gave vodka the bottom-shelf treatment. But we wised up to what all those Polish people have been saying for centuries, and now vodka enjoys the same status as its other spirit siblings, with seemingly endless options on the shelf. 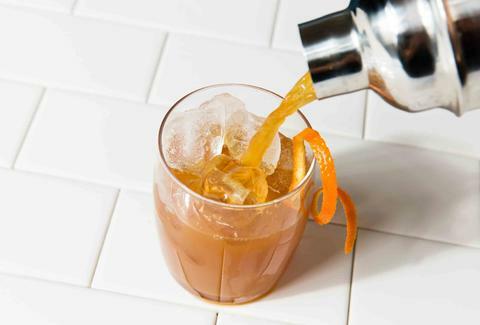 Regardless of your preference or price point, vodka's the base for incredible, simple cocktails that taste just as good in sweatpants as they do in a suit & tie. Ugh. Sorry. That JT is infectious! Named after the famous golfer (RIP), this drink's so famous that ESPN even produced a short movie about it. This version steps it up a notch with an infused vodka. 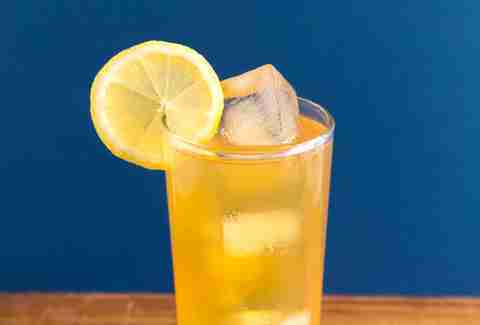 To make it, simply add 1 tablespoon of black tea leaves -- or 2 tea bags -- to a fifth of vodka, shake to combine, and let steep for at least 3 hours before straining off. Or just mix vodka, lemonade, and iced tea, if you're feeling less fancy. Add ingredients to a shaker over ice, shake to combine and chill, strain over fresh ice, and enjoy while dressed in appropriately checkered shorts. Pour cucumber-lime vodka into a rocks glass filled with ice. Add tonic water and a squeeze of lime to taste, then garnish with a lime wheel. Whiskey gets most of the love, but almost any liquor does well in a classic sour recipe, using 2 parts spirit, 1 part sour, and 1 part sweet. You can swap out lime for lemon to make a margarita-esque drink for your friends who can't drink tequila because of that one night they overdid it and now the smell of it makes them sick. Combine all ingredients over ice in a shaker, shake it like a Polaroid picture, strain over fresh ice, and savor. There's no shame in wanting your adult beverage to taste like a childhood favorite, and vodka makes it easy. 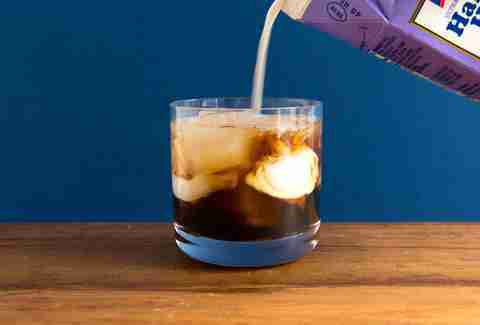 This light and sweet drink could also be made into a dessert float with the addition of vanilla ice cream and/or orange sherbet if you wanted to venture above and beyond three ingredients. Pour soda and vodka over ice in a tall glass, dash in bitters, and stir to combine, preferably while whistling the song ice cream trucks play. What is it about blue drinks that make people say, “ooo I want that one”? This sparkler has a blue raspberry vodka base, making for the ultimate party in a glass. It tastes just as good as it looks with its bright berry flavors and bold citrus crank from the Blue Curaçao liqueur. Top things off with demi-sec sparkling wine for the perfect touch of sweetness and a fuchsia sugar rim if you’re feeling fancy; then, turn on some Cardi B and dance like nobody's watching. Now it’s really a party. Pour ingredients in a chilled champagne flute. Garnish with a lemon curl and fuchsia sugar. Disco ball for ambiance not mandatory, but encouraged. Most people think of vodka in icy drinks, but it can be the star of cold-weather cocktails too when paired alongside baking spices and seasonal mixers. Spiked cider is best served warm and pairs well with everything from pumpkin pancakes to the existential anxiety that comes from watching Westworld. Combine ingredients in a mug, stir to combine, and garnish with a sprinkle of cinnamon powder if you want to be fancy. 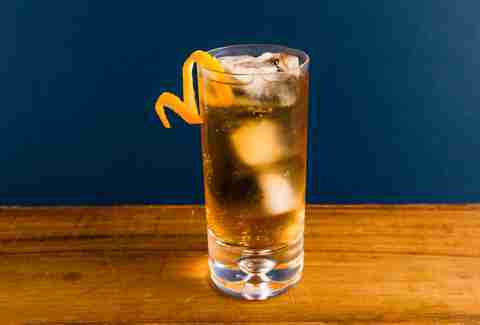 This minimalist drink works best with a premium vodka that has a smooth and velvety texture (while you're at it, spring for high-quality honey, too). The interplay of vodka, pepper, and honey makes for a full-bodied drink that unveils different layers of flavor as you sip, starting out spicy and finishing sweet. Add honey to the bottom of a rocks glass and top with one large ice cube or sphere. Pour the vodka over the ice and use a grinder to coarsely crack a few peppercorns into the glass. No need to stir, just sip. Mimosas are a brunching staple, just like your hangover omelette and don’t-look-at-me aviators (sunlight is a trigger). When you’re jonesing for some hair-of-the-dog action but want to keep it classy with a champagne flute, you can still jump back on the horse like you mean it. Pop some bubbly and match your requisite dash of OJ (it’s just for color anyway, right?) with a dash of cranberry-flavored vodka. Fill a champagne flute up about half way with vodka, then add cranberry vodka and OJ. 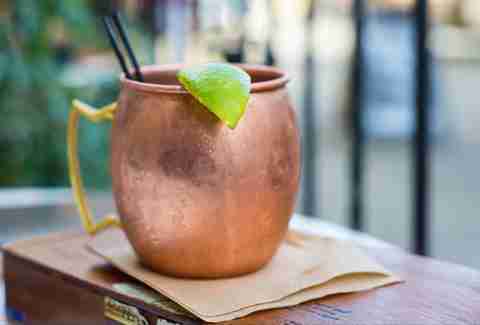 A refreshing and piquant classic that's been riding a wave of popularity for a while now, the Moscow mule was invented by Smirnoff in 1941. At the time it was one of the only popular vodka cocktails. Just like Neil Diamond, it's still a staple of bars at age 75. Squeeze lime juice into a glass, or copper mug if you have it, adding the lime shell. Fill the glass with ice, pour in vodka and ginger beer, and stir briefly to combine. Pour ingredients into a glass over ice and abide. 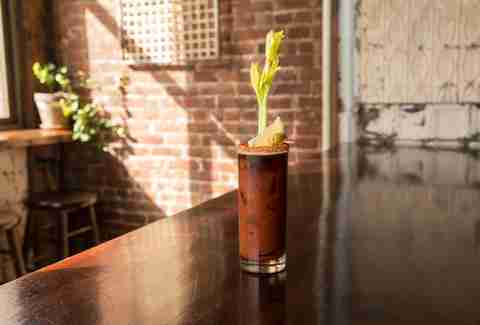 The fishy Canadian cousin of the Bloody Mary, this cocktail uses Clamato, a blend of tomato juice, clam broth, and spices, for an extra-savory kick. To the uninitiated, the thought of a clam-flavored Bloody might sound a little off, but trust us here: The combination of spice, traditional Bloody ingredients, and a little clam blends wonderfully, and greatly reduces the choking hazard associated with drinking a ridiculous Bloody loaded with actual seafood. Combine all ingredients in a shaker filled with ice, stir to chill, and strain into a tall glass to quench your thirst. The smooth, neutral character of vodka makes it easy to mix with spicy chilies without running the risk of clashing flavors. 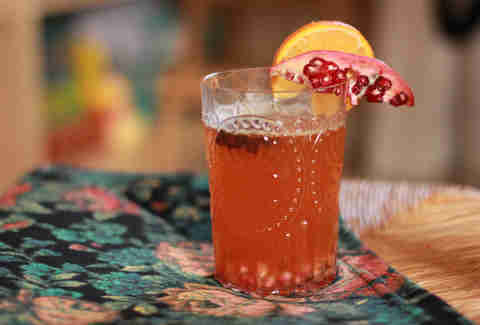 This amped-up party drink can be made as a single serving or in a large batch for a crowd by multiplying the recipe. Be careful when handling habaneros: Their burning capsaicin will stick to your hands, so be sure to wash thoroughly before rubbing your eyes or using the restroom, unless you want things to, um, go south pretty quickly. Muddle the habanero in the bottom of a glass, top with ice, vodka, and soda, and stir gently to combine. Then, seriously, wash your hands. Tess Rose Lampert is a Manhattan-based philosopher-turned-drink expert who spends her nights grappling with tough decisions like what to pair with Thai takeout and Netflix binges. It's often mezcal. Follow her on Twitter @TessRose211. Brooke Sager is a contributing writer for Thrillist who is probably on the naughty list, but hopes that people gift her with everything mentioned here anyway. Follow her winey adventures on Instagram and Twitter.